And yet two more. 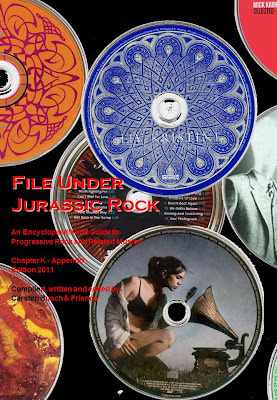 The first is the appendix to the K chapter with all the "related" bands and acts. Including a whole load of pictures (and a Mick Karn entry that should have been in the proper chapter, to be honest - my mistake). The second is a temporary version of D.
As always downloadable for free. Get the temporary D chapter here.